I absolutely love using clip cards with my students. They are so much fun, students can practice a variety of skills, and they are the perfect fine motor activity. 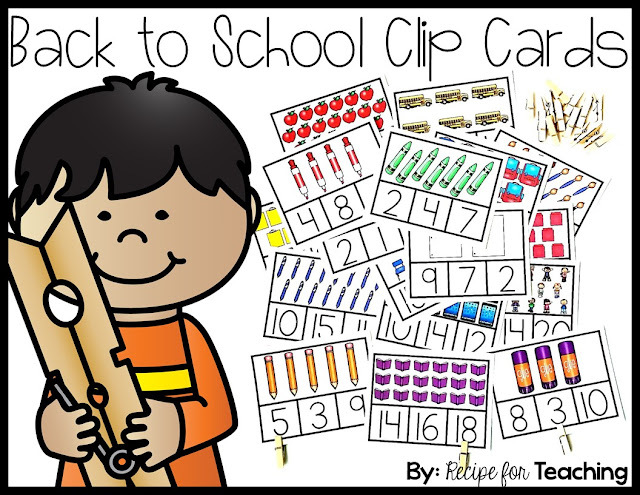 With these Back to School Clip Cards, your students will have fun counting school objects from 1-20 and clipping the matching number. To prepare this activity, I just printed the clip cards on white cardstock. I recommend laminating cards for durability. I used my paper cutter to cut the cards. I also grabbed some clothespins. If you are looking for a place to get clothespins, the Dollar Tree sells packs of them. 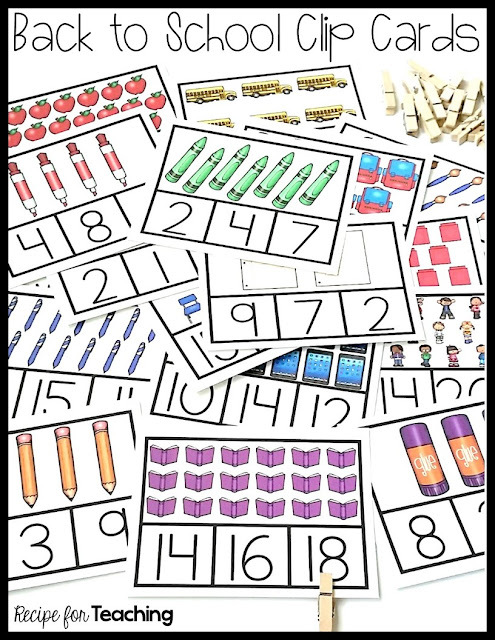 For this activity, students count the objects on the card and then clip the number that matches the set. Students continue counting and clipping the cards until they have clipped all of the cards. This set of clip cards includes sets 1-20. This activity is perfect to use as a math warm-up, during small guided math groups, or to put out at a math station. I just used these in my classroom with a small math group and they were so engaged and excited to clip the number! *Self-checking tip: I recommend putting a dot sticker on the back of the card on the correct answer. This way students can easily check their answer to see if they are correct. Ready for some Back to School Clip Card fun?!?! Just click the image below to grab your FREE set of clip cards!